There’s something about pairing pork chops with tangy fruit sauces. Ridiculously delicious! Open the can of pineapple chunks. In a large skillet, heat the oil and brown the pork chops on both sides for 5 minutes. In a small mixing bowl, combine the pineapple chunks and their juices, orange marmalade, tamari sauce, and ginger. Stir and then pour sauce over the pork chops in the skillet. Cover and bring to a simmer over medium heat for 5 minutes, or until pork chops are cooked through. 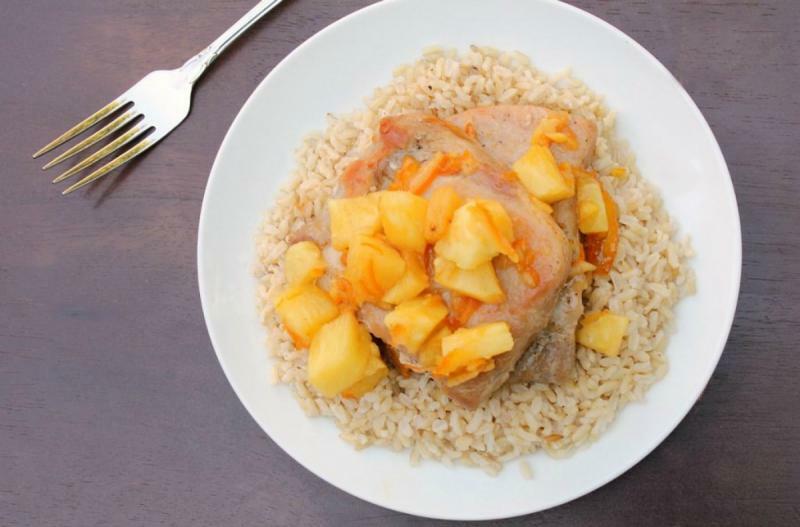 Serve Asian Orange Pineapple Pork Chops over rice with veggies. Open 2 cans of pineapple chunks. 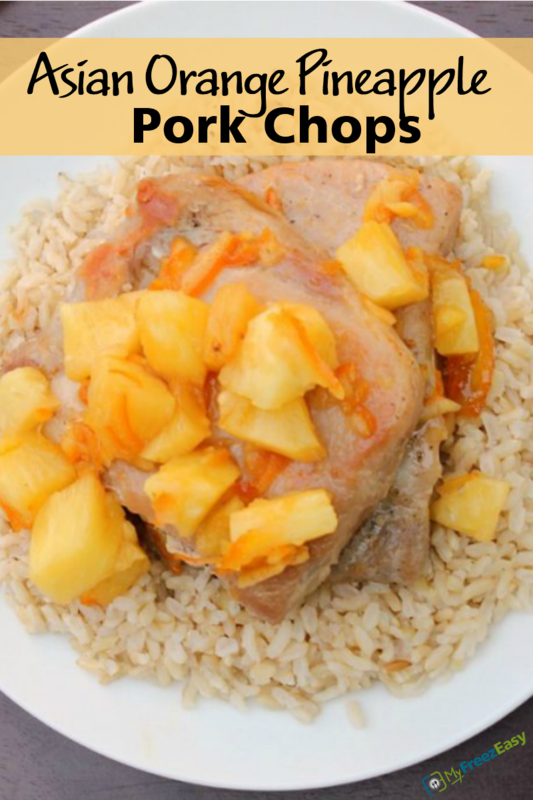 In a small mixing bowl, combine 2 cans of pineapple chunks and their juices, 1 cup orange marmalade, 1/2 cup tamari sauce, and 1 tsp ginger. Put baggie in the freezer and freeze up to 6 months in fridge freezer or 12 months in a deep freezer. Thaw in the fridge overnight, or a warm bowl of water for about 20 minutes, before transferring the pork chops and sauce to a large skillet and cooking over medium low heat for 10 to 15 minutes, or until pork chops are cooked through. Thaw and cook sauce and pork chops in skillet, over medium low heat for 10 to 15 minutes, or until pork chops are cooked through.